From the tip of the roof downwards, Southgate is something very special. It holds its own against fierce competition from pretty much every station along the northern end of the Piccadilly line, which is easily the most rewarding stamping ground for Underground architecture. And it does this by not merely being another example of Charles Holden’s faultless skill for coupling beauty with design, but by being unique. There is literally no other station like this on the whole of the network. 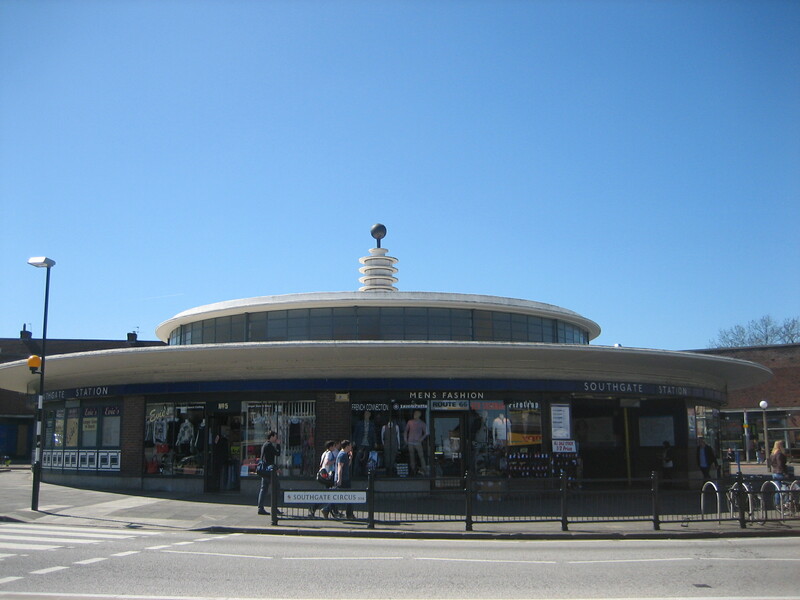 There’s a sense here that Holden set out to push as far as he dared the expectations for and acceptance of how an Underground station should appear in a suburban high street. You might think he failed, or that he went too far. I think he succeeds with aplomb. 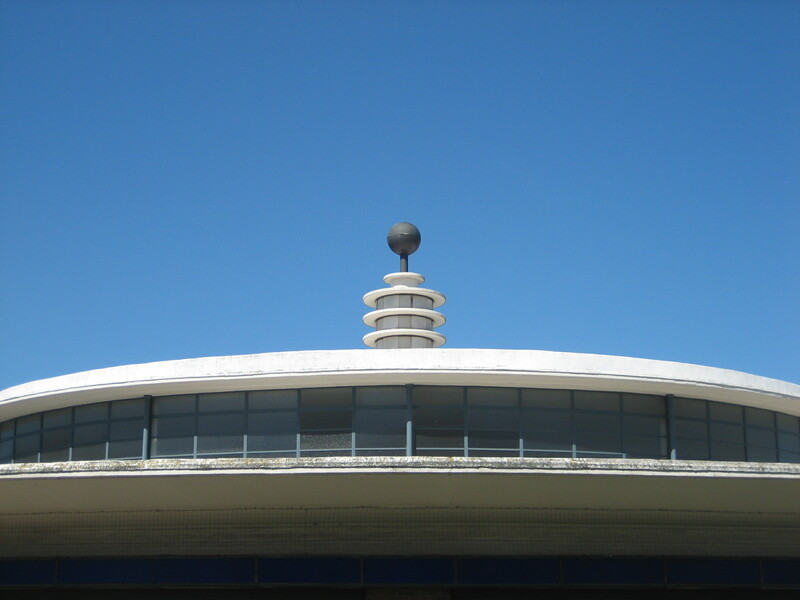 It opened in 1933 and is now Grade II* listed. There’s no steel or iron here: just brick, concrete and glass, singing in perfect harmony. 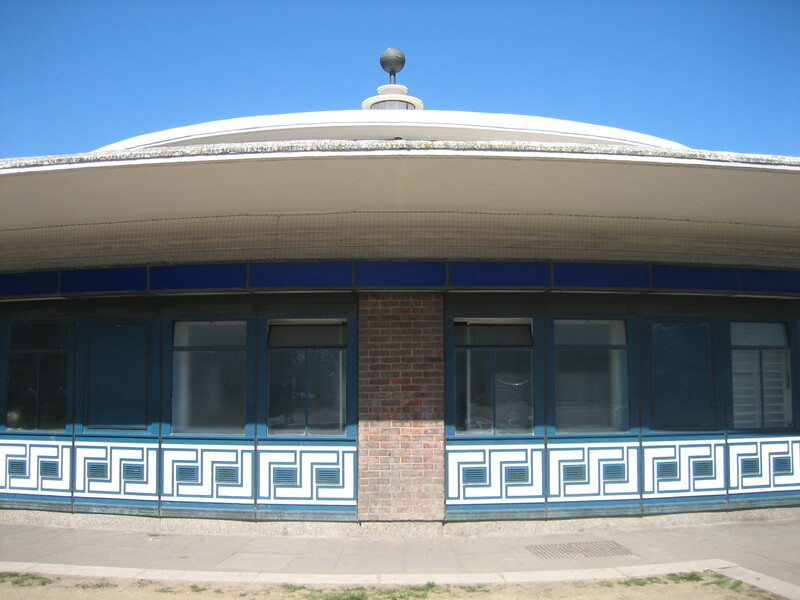 The interior, which I’ll cover another time, and which explains how that dazzling circular roof appears to be entirely self-supporting, was renovated in 2008. The majestic exterior is pretty much unchanged. It’s not something you can easily take in just by standing still. If you’re like me – which you’re probably glad you’re not – you’ll end up walking all the way round the outside. Twice. 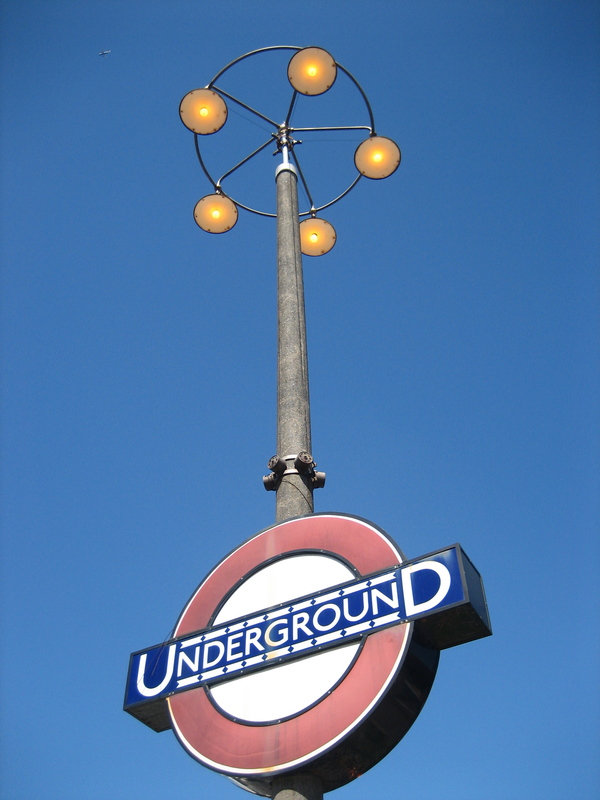 It’s a massive roundel adjacent to the station entrance, that in turn supports an enormous illuminated turret – just in case you hadn’t noticed the Underground calls here. By Far the most stunning station on the underground, especially at night. Beautiful. Looks like it’s straight out of The Jetsons!